Relocating across town, out of province or even to a new country can be a positive experience when you work with our team! The Mortimer Team is here to help you navigate through the changes and challenges that come from entering a new job, neighbourhood, home and/or school. We work alongside you and your family to help determine your needs and provide you with outstanding customer service. When purchasing a home in a new location it’s important to work with a Realtor® who has a thorough knowledge of the area. Most of our team members were born and raised locally, making us confident we can advise you which neighbourhoods are best suited for your family, which areas are most likely to appreciate in value and we can provide you with the latest information on schools, recreation and amenities in your new community. Our team can help you & your family relocate to the communities of Alliston, Beeton, Tottenham (New Tecumseth) Angus, Base Borden, Barrie, Innisfil and all other surrounding areas. Whether you are with the Canadian Forces, the Government of Canada, the Royal Canadian Mounted Police, or relocating for career reasons, you can trust the experience and resources The Mortimer Team provides. Let us help you find your dream home, and make the transition into your new home smooth and a positive experience. Contact Laurie Mortimer & her team of professionals today for more information & assistance in your relocating experience. 705-440-7789 or email her! [FALL] With Fall Just Around The Cornerthere is plenty that needs to be done. Please take a few minutes to read our tips for preparing your home for fall. Honda of Canada was welcomed into Alliston in 1986. It's expance covers 450 Acres or approximately 1.8 km/sq which encompasses 2 vehicle assembly plants (that house the production of the Honda Civic and Acura CSX, MDX, and ZDX models), a stamping plant, recreation facility, Full sized NHL arena, fitness centre, baseball diamond and volleyball nets. Alliston Real Estate has improved from the injection of this vehicle manufacturer into our economy consideralbley, and as such The town of new Tecumseth, made up of Alliston, Beeton, & Tottenham, has grown. There was a large growth of Houses and Homes as well as a large influx of new residents to help out the rental market in Alliston as well. The saying holds true, "without business, there can be no growth"
Currently, the two main plants have approximately 4600 employees and have an annual capacity of 390,580 cars per year. Plant 1 was built in Alliston in 1986. A stamping and bumper painting line was added in 1989. Honda's second plant in Alliston began production in 1998, originally Building Honda Odyssey vans for the 1999 model year. Production of the Odyssey in Canada stopped in 2004 to make room for the Ridgeline. Production of the Honda Pilot in Canada stopped in 2007 to allow Civic sedans to be built in Plant 2. In May 2006, Honda announced it would build a CAD$154 million engine plant in Alliston, Ontario, to supply engines for the Civic model. The plant opened in the fall of 2008. November 12, 2008, saw the end of Ridgeline production at the AllistonAssembly facility. Ridgeline production has been moved to Honda's Alabama assembly line. A total of 3,791 units bound for the Canadian market, 3679 units bound for the American market, 551 units bound for the Mexican market, and 130 units bound for South America have been built to date for the 2009 model year. The discontinuance of Ridgeline production will make room for more Civic production at Plant 2. The sudden dip in the economy played a major role in lowering production in Alliston. On January 29, 2009 Honda announced further reductions in production at the Alliston plant. 9,000 fewer vehicles will be produced through to March, 2009. "One assembly line at the facility went from two daily work shifts to one. Output of Civic and Acura MDX models made on the line were halved from 800 units a day to 400 units. Honda also took four non-production Fridays in February." This dip in the economy also effected houses in Alliston and throughout New tecumseth, but properties have since bounced back and the town real estate maket is back in full swing! This April 8th & 9th For FUN, FREE Events Hosted By The Mortimer Team. Register Today On Our Facebook Fan Page If Your Children Want To Take Part In Our Annual Easter Egg Hunt On Saturday, April 8th. Time(s) To Be Determined. Plus, We Have South Simcoe Soccer Club Running Soccer Drills For Kids To Take Part In & We Have A Bouncy Castle Plus Other Fun Games... You DON'T Want To Miss This! As We Believe In Giving Back To The Community We Live In! This Event Is Sure To Be A Fun & Memorable One, Therefore Don't Forget To SHARE This Event With Friends, Family & Neighbours! The More, The Merrier! As An Added Bonus We Have Some Community Partners Of The Mortimer Team That Will Be Joining Us! Boston Pizza Will Be There Giving Away Pizza Slices, McDonald's Alliston Has Generously Donated Coffee Coupons & RBC Mortgage Specialist, Jacob Harvie & The Co-operators, Gary Laakso Will Be There Handing Out Some Awesome Giveaways! Details: Sunday, March 19th At The New Tecumseth Rec Centre From 12:30pm Until 1:50pm! Mrs. Mitchell’s Restaurant opened its doors in 1980, named in tribute to the school’s last and longest serving teacher, for her many years of dedication to her students. The schoolhouse, was full of rich history from Mrs. Mitchell herself. Built in 1889, Mulmur Township School Section 2 operated for 79 years before closing in 1968. The school and surrounding community together survived the social and cultural upheaval of two World Wars and the Great Depression. The Orange Lodge across the road played an important role in the lives of early settlers in our region. As a gathering place it was vital to the fraternity and identity of its members. Th e building became home to Granny Taught Us How in 1978. Both historic landmark buildings were renovated with great care and respect for their heritage. We still enjoy that enduring sense of community here in the hamlet of Violet Hill. At Mrs.Mitchell's you will experience fine food and expert service in a casual yet upscale atmosphere. The freshest ingredients are prepared simply and presented beautifully. While enjoying colonial decor and upscale service delivered with a smile. While visiting Mrs.Mitchell's for afternoon tea or dinner dont forget to stop by Granny Taught Us How for the ultimate shopping experience! Perfect gifts, decor treasures and one of a kind finds. The store is filled with possibilities from the artsy and amusing to the sophisticated and sublime , from rustic and cozy to glitzy and glamorous. There is something there for everyone! When you buy your house, there are many different things you must consider in the process. Before moving, one of the many things you need to find out is which school zone you are moving in to. Sometimes you move within your own school zone and your children don't have to switch schools, but more often then not there is a better chance of a school move in the near future for your sons or daughters. When you and your Family are making a move to Alliston, Angus, Base Borden, Baxter, Beeton, Cookstown, Everett, Loretto, New Lowell, Thorton, Tottenham & Everywhere in-between; you have to consider where your children will be attending school. Below is a list of all the schools in this area. When making your move to the area, choose THE MORTIMER TEAM today! Feel free to call us today to figure out which school zone your children will be living in. We have maps of bus routes and all the information you might require. The Mortimer Team helped me buy my beautiful home and sell my previous place. Laurie and her team were very responsive to every question or help I needed. They went above and beyond when it came to marketing & promoting our home, plus offered tremendous support all along the way. It was all around an excellent experience! The Mortimer Team are the best! If you are looking at selling or buying give the Mortimer Team a call, you won't be sorry! Laurie is the BEST of the BEST! We highly recommend her to ALL of our Family & Friends! Thank You, Thank You, Thank You Laurie! I felt that I was kept well informed throughout the sale of my house, and no day to day disruption in my busy life. Thank you for a job well done Mortimer Team!!! I met Laurie about four years ago, and we have a good relationship, even so everything was handled very professional and I truly enjoyed my entire experience with Laurie & her team. They go ALL out for you as a seller! Highly, Highly Recommend! If Laurie is your agent, be ready to put up the sold sign. She sold our house in NINE DAYS! Yup, nine days. The first week was bitterly cold and snowy. The skies cleared, the people came and the sign went up. She works sooooo hard. We have just signed our offer on the new property. She had the signback for us and came to the house. We weren't there. She knew we liked CW Coops so she tracked us down there. BINGO, DEAL CLOSED. Thanks Laurie. Laurie was excellent, she guided us so calmly through the whole process, she gave excellent advice, her knowledge and experience got us our dream building lot. Many Thanks! We have sold several homes with the Mortimer team. We would highly recommend them! "From the moment I met Laurie, I knew she was cut from a different cloth. The real estate business is one where both knowledge and people skills are a MUST. Laurie is one of the most knowledgable people I've met in the business. Pile that on top of her love for people, and you have a top level realtor. Laurie has shown that she does more than just care for her clients. Going above and beyond to make sure that the people she meets feel very special. I'm very lucky I was able to meet Laurie, and her team, as they've been an inspiration and become good friends." Laurie Mortimer was our Real Estate Agent for the sale of our home in Mansfield. The market was going through a very tumultuous time, and we had some very difficult goals in mind. Laurie worked very hard to sell our property at the best possible price and always kept a positive attitude. In the end she sold our property for a great price!! Thanks Laurie! Laurie sat patiently with husband and myself at the time to painstakingly work with our schedules to sell and help us purchase our new home in Everett. Laurie was understanding to our needs and wants and worked with us to get the best selling and purchase price on quality products in our new home. Laurie mediated with our builder to the best of her ability. If you want your home sold in a timely matter I would recommend Laurie for the job. We LOVED That Laurie has ALWAYS! Gone Above & Beyond For US! She Is Amazing!!! We are EXCITED to be moving into our first home and raising our family. We were referred from family to Laurie & her team and we truly are happy we met her! Thank You Laurie! Thank you Laurie Mortimer for all your help in selling our house. You are a true friend. This was a hard decision for me and many concerns and tears. You always knew the right thing to say to me to make it through. Thank you for everything you and your team did for us! Very knowledgeable. Knows the available properties and is able to assess your needs. Would not hesitate to recommend! She was very patient with my husband & I. She didn't meet my expectations, she EXCEEDED them! We love you Laurie! Laurie was Excellent! Her experience and knowledge of the market made it a quick sale of our house at the right price! She gave excellent advice. Laurie and Scott were amazing with the purchase of our home. Very knowledgable and patient and always took the time to answer questions or concerns. Laurie would go out of her way to help us and made herself available. Nice to call or text and get a quick response. We were so happy with Laurie and Scott that we recommended her to mother who is selling her home in Toronto. We trust them and wouldn't go anywhere else to buy or sell. Thank you Laurie and Scott for the exceptional service you provide your clients. Laurie's the best realtor in Alliston! She really wanted us to find the perfect home for our family. It wasn't about making a sale. it was about making a friendship and I'm honored to be able to call the Mortimer’s my "family" each and everyone of them! We recently sold our home with Laurie. She took the time to explain everything step by step during the process of selling our home. From the moment she walked through our door, it was very apparent that she was the best realtor for the job. If you want a professional, knowledgeable, friendly and approachable realtor to buy and sell your home with, give Laurie a call. She was all this and more with the sale of our home. Laurie Mortimer has been our Real Estate Agent for the past ten years. During that time we have purchased numerous properties including single dwelling homes as well as multiple dwelling properties. During this time Laurie has demonstrated an understanding of what the goals of CLASS are and she researched and found properties that have met our goals. In general we have found Laurie to be honest, conscientious and straight-forward person to deal with. We have appreciated her integrity and her advice to purchase or walk away from opportunities. These traits make it easy for me to recommend Laurie for your real-estate needs. Based on our history it is our intention to continue our relationship with Laurie. We have known Laurie for six years. She was pivotal in finding our current house as well as in it's sale. Laurie is a personable, friendly and intuitive real estate agent. She is motivated, dedicated and adventurous, having travelled throughout Simcoe County with us in our search for a new home. Laurie is informative, resourceful and available at a moment's notice. We have always felt that she was working with us and was on our side in our real estate transactions. We would highly recommend Laurie as a real estate professional. "Laurie is a Top Producer who is committed to the industry and is considered an expert in her field. She is hard working and honest and will go above and beyond to create a successful result. Regards Marc"
The Mortimer Team offers a complimentary 2-STEP home staging process. Your home will be presented to its fullest potential to significantly appeal to buyers and achieve maximum results for you! Staging is a valuable tool to gain more buyer interest as your home is viewed on the internet and in person. Our clients are always thrilled with the results, and buyers are impressed with how well our homes show. You will receive a complimentary consultation & recommendations. We will meet to discuss all the options that will help prepare and present your home to its fullest potential. This includes a thorough walk through of your house, inside and out, and a detailed discussion afterwards. Together we will then come up with the solutions and a plan of action. We will always do our best to work with what you have and keep your budget in mind, or you can simply do it yourself. In the real estate industry, it is extremely important to present professional photos that showcase homes to their full potential. Your home will stand out from the competition with high quality, magazine-like photos offered by the professional photographers. This is a complimentary service by The Mortimer Team. All listing clients receive an unlimited supply of professionally designed, full-colour, detailed, personalized, feature brochures of their home. The brochure makes a striking and memorable impression to potential buyers of your home and are an important marketing tool. The feature brochure features many full colour photos and information about your home, as well as useful information such as your MLS listing, your neighbourhood schools, map, and more! Your custom feature brochure is created by our team not another company as we know the Ins and outs of your home and will word it to entice the buyer. They will be delivered to you in a timely manner and we will make sure you always have an adequate supply. We will utilize other newspapers, once we determine/analysis the neighbourhood and where the home-buyers are coming from for your neighbourhood. The Mortimer Team's “for sale” signs have been professionally designed, and the frames custom made, so they stand out from the competition. The signs are very attractive, prestigious and feature colonial vinyl with solar light atop so they really stand out at night as well. The public is well aware of our brand through our signage, and having our sign on your front lawn will add a prestigious element to your home. Real Estate agents and buyers take a closer look at your home and are one step closer to an offer. You will have an option of one of The Mortimer Team Sales Partners to host one or more open houses for you. The open houses are advertised on Realtor.ca/MLS, www.TheMortimerTeam.com, Facebook and in multiple newspapers. 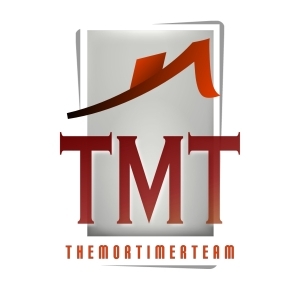 Our website [TheMortimerTeam.com] generates thousands of visitors a week making it one of Alliston's best kept secrets in searching for listings in Alliston & surrounding areas. Our website offers potential buyers added photos and information of your home making them one step closer to an offer. The Mortimer Team is registered with and approved suppliers by the IRP (Integrated Relocation Program) with Brookfield Global Relocation Services. The Mortimer Team helps many Canadian Forces Military relocate to Base Borden, Alliston, Angus, Innisfil and surrounding area. As Royal LePage Realtors, The Mortimer Team has access to a superior Canadian, International and Corporate Referral Network, which allows us to help you move anywhere in Canada as well as Internationally. Royal LePage is one of the largest real estate networks in Canada, with over 600+ national locations, and nearly 20,000+ real estate agents and REALTORS®. Royal LePage has the best access to homes and homebuyers in the Canadian market, resulting in more potential buyers for our client's homes. Laurie was born and raised in the Beeton area and has since had a family that includes her husband Scott and 3 daughters Kim, Hope & Brooke. Laurie is well known fo her outgoing personality and heavy involvement in this great local community of Alliston and area. Laurie has been an award-winning realtor for over 17 years now, combining her grass roots knowledge, impeccable work ethic and her ability to give her real estate customers a professional yet personal experience. Her client care goes above and beyond to help you & your family find the perfect buyer for your home and an even more perfect home for you to move your family into. Laurie will not just sell you a house to make a deal, she believes you must find the right fit and be fully comfortable before diving into an offer. We are in this business for the long run and know that all great businesses are built on referrals and repeat clients. Our business is highly based on repeat clients and referrals and we are extremely pleased that many of our clients are referrals from our past clients who are very happy with their experience with our team. In addition, we help a lot of repeat clients with the sale and/or purchase of their home, and share a true joy with working together again! Our team has strong family values and believes in providing outstanding service, with a goal of building lasting relationships with all of our clients. Honesty, integrity and going the extra mile are just some of the principles that The Mortimer Team is based on. We appreciate and value our relationships with our clients, and are always excited to meet new people and build lasting friendships with them. The Mortimer team is committed to giving back to the community by supporting numerous charities and sponsorships. We also show our ongoing appreciation to our clients with fun annual events. Something that the team really enjoys is actually being out in the community and volunteering time. The Mortimer Team also hosts several annual client events. We value our relationship with all of our clients, and always look forward to treating you and spending time together. Our VIP program is exclusive to our clients, allowing them the amazing opportunity to be one of the first to view and potentially purchase the home. We have an online exclusive buyer registry where we attract more buyers for your home. You can become a VIP Member for FREE! You will receive access to privileged property information of listings before they hit the market; ONLY available to The Mortimer Team's clients. As a client of The Mortimer Team, you will have access to our full list of trusted business contacts. Over the years we have scouted for excellent vendors our clients may be in need of during their moving process. Our contacts include builders, mortgage specialists, home insurance brokers, moving companies, lawyers, home inspectors, cleaners, painters, plumbers, roofers and many more. Once your house is listed you can ask for a copy of this list.